Find cheap flights from Auckland to Samoa and experience the coral-sand beaches, turquoise lagoons, lush rainforests and warm welcoming culture that make this island a true Pacific paradise. Relaxed, happy and still guided by traditional beliefs, the people of Samoa are as warm and welcoming as the calm lagoons that wash along their white sand beaches. Whether you're looking for a refreshing change of pace, an effortless family holiday or the pursuit of diverse tropical adventures, Samoa is only a four-hour flight away. There are non-stop Air New Zealand flights to Samoa from Auckland every day. Connections across our domestic network, including Wellington, Christchurch and Queenstown, make it easy to access flights to Samoa from anywhere in New Zealand. Our Auckland to Samoa flights take just under four hours and you have a choice of fare types - Seat, Seat + Bag, The Works and Works Deluxe. Premium Economy and Business Premier™ are also offered on flights that use 777-200 and 787-9 aircraft. All fares include an on-demand seatback entertainment system. Set in a lush green park, To Sua Ocean Trench is like a lost world. Climb the long ladder down to the diving platform and the deep, clear waters are swirling at your feet. If you're interested in our cheapest flights to Samoa, you can sign up to our newsletter to receive regular updates about fares, packages, competitions and exclusive offers. Did you know it's easy to assemble Samoa holiday packages using this site? During the fare booking process, you'll have the option of adding a rental car. After you've paid for your airfare to Samoa, we'll give you the option of booking accommodation through Expedia. Samoa airport is called Faleolo International Airport. It's a 50-minute drive from Apia, the capital of Samoa and the main town on the island of Upolu. The drive from the airport to Lalomanu Beach at the far end of the island takes about two hours. To hire a car you need a full driver licence from your home country and a temporary Samoan licence, which most rental car companies provide for the standard fee of $20 tala for one month. In Samoa, they drive on the left-hand side of the road, the same as New Zealand and Australia. If you'd rather not drive, most accommodation options offer convenient transfers and day tours. There are also un-metered taxis. When you're planning a Samoa trip it's easy to create the exact holiday you have in mind. Apia, the main town on the island of Upolu, is a bustling hub for markets, Samoa tour operators and adventure guides. It's also home to highly rated things to do in Samoa, such as the Samoan Cultural Village, the Papase'ea sliding rocks, Robert Louis Stevenson's house and the Palolo Deep marine reserve. West of the airport and along the southern coast of Upolu is where you'll find Pacific paradise - white sand beaches with palm trees and turquoise lagoons. Or you can even venture further afield by catching a ferry to the larger, less-populated island of Savaii. If your idea of a perfect holiday is lying on a beach in the shade of a palm tree, with the occasional dip in tropical waters, you'll love Samoa. It has an impressive collection of idyllic white sand beaches lapped by calm lagoons, one of the main Samoa tourist attractions. Perhaps the most famous is Lalomanu Beach at the eastern end of Upolu, although Matareva Beach is also a favourite. On the bigger island of Savaii, Manase Beach is postcard-perfect and one of the best places for swimming and snorkelling in Samoa. 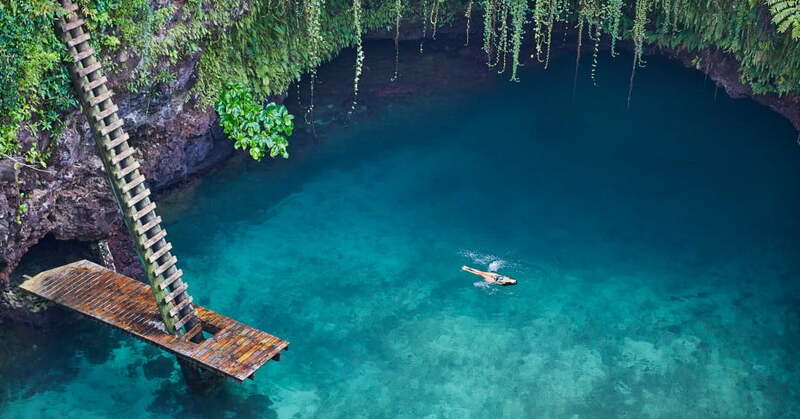 Both unusual and picturesque, the To Sua Ocean Trench is one of the top Samoa attractions. Set in a lush green park, this giant waterhole is like a lost world. Climb the long ladder down to the diving platform and the deep, clear waters are swirling at your feet. You may notice a slight surge in the water level, because the pool is linked to the ocean by a volcanic tunnel. Among several photo-worthy waterfalls on Upolu, such as the Papapapaitai Falls and Sopoaga Falls, there's one fresh water attraction you can truly get involved with. Known as the Papase'ea Sliding Rocks, it's just 15 minutes inland from Apia by car. Worn smooth over centuries and covered in cascading water, this natural water fun park has short slides for children and a more challenging one for adults. To get the most out of your Samoan holiday, be sure to connect with the local culture and way of life. Fa'a Samoa, the Samoan Way, includes a framework of matai (chiefs), extended family and the church. It provides a guide for living that involves embracing and celebrating traditional values, culture and the environment. The Samoan Cultural Village in Apia offers a highly-rated interactive experience starting at 10:30am Tuesdays and Thursdays. It covers traditional weaving, cooking, kilikiti (Samoan cricket), traditional tattooing, siva (Samoan dances) and much more. 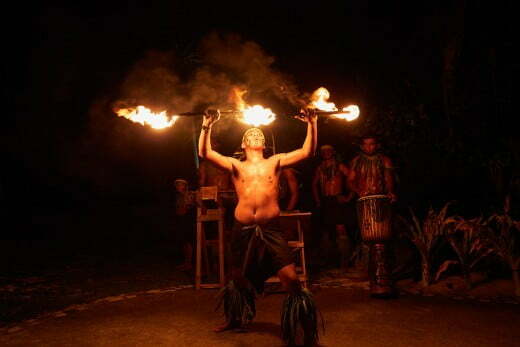 Entertaining Fiafia nights or cultural shows are a highlight at most resorts. You can also take half-day or full-day Samoa sightseeing tours to explore the local culture and beautiful environment with a local guide. No visit to Samoa is complete without enjoying some of the local delicacies, such as palusami (young taro leaves baked in coconut cream) and oka (lime or lemon marinated raw fish in coconut cream with capsicum and a hint of chilli). Also keep an eye out for local food stalls and markets, like the Monday to Saturday produce markets in Apia, where the fresh fruit is sensational. For a food tour that combines the markets, some sightseeing, a freshwater swim and a personally-prepared lunch, check out Chef John Tours. In the villages and at some resorts, food is cooked in an umu, an above-ground earth oven heated by hot rocks. Wrapped in banana leaves, ingredients retain their flavour and moisture without the need for oils. Food is definitely a big part of any social gathering and most hotels offer traditional Samoan dishes, especially on Fiafia nights. 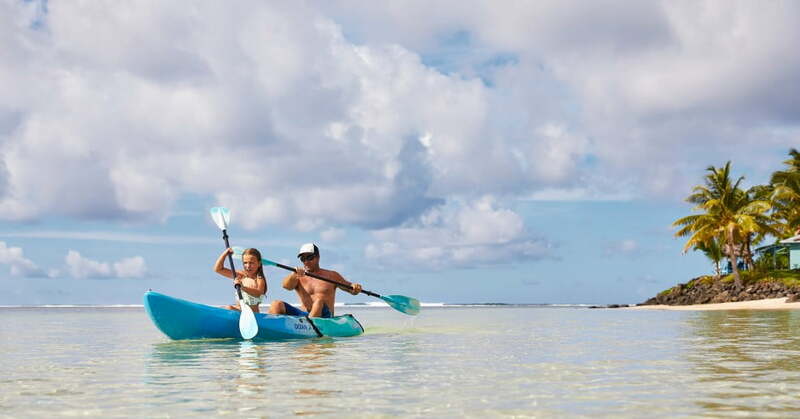 If you like to snorkel, dive, surf, kayak or paddle board, you're going to love Samoan holiday adventures. The warm, clear tropical waters are home to many kinds of marine life and you may even get to see some turtles. It's possible to snorkel off the beach at most Upolu resorts. One of the best and safest spots is the Palolo Deep marine reserve in Apia, near the original Aggie Greys. 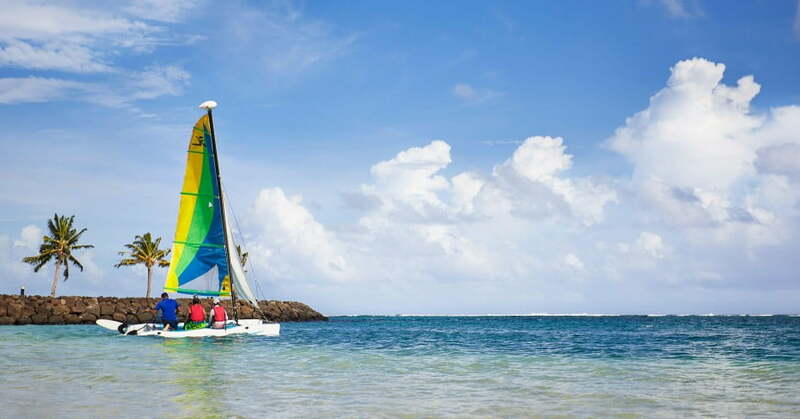 This experience is best at high tide, so that you can float easily over the coral. Scuba operators make it easy to dive the best reefs and shipwrecks in Samoa's near perfect underwater visibility. Dive trips take you to canyons, walls, swim-throughs and coral gardens where you'll see barracuda, blue fin trevally, stingrays, turtles, reef sharks, moray eels and eagle rays, as well as plenty of tropical fish and live coral. Game fishing in Samoa is legendary and a trip out on the ocean will give you a unique view of the island. Potential catches include marlin, albacore, wahoo, sailfish, giant trevally, mahi mahi, barracuda and yellow-fin tuna. 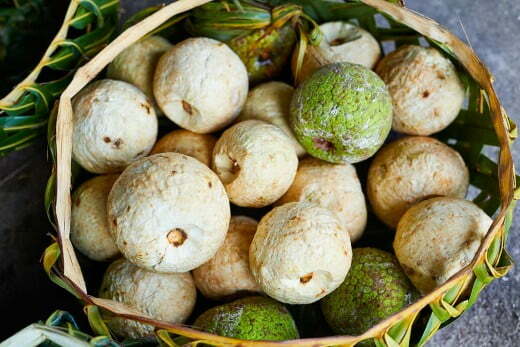 The interior of Upolu is home to lush rainforests that are alive with native birds and small creatures. If you like a good hike, head to O Le Pupu-Pue National Park, which runs inland from the southern coast. There are plenty of well-marked tracks to choose from or you can hire a local guide. The most popular time of the year to visit Samoa is in the dry season from April to October. Temperatures are warm throughout the year. The air temperature is usually in the high 20s and ocean temperature is consistently in the low 20s. If you don't mind a bit of rain and humidity, consider the less-crowded summer months from November to March. Samoa is a cost-effective place for a holiday. Accommodation ranges from low-cost basic beach fales to five-star luxury hotels. In the markets and shops, fruit, vegetables, local beer and transport are all generally cheaper than in New Zealand. Samoa restaurants range from inexpensive local cafes to fine dining experiences in Apia and at the upmarket resorts. No vaccinations are required to enter Samoa, however it's still a good idea to check with your doctor before you depart. There are occasional outbreaks of dengue fever, so using a tropical-strength insect repellent is recommended. No visa is required to enter Samoa if you're staying less than 60 days, provided you have return or onward tickets and a passport valid for at least six months.